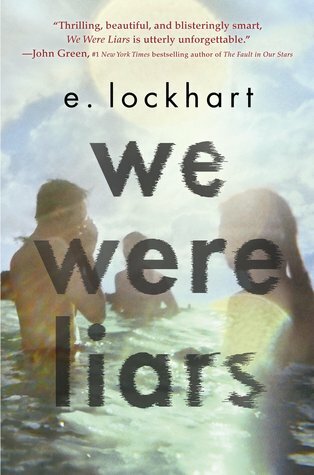 This week my teaser comes from We Were Liars by E Lockhart. I read this last week and absolutely loved it so I had to share a teaser. It’s one of those books that’s best to go into blind so I won’t say much other than if you’re one of the few people who haven’t read it, go read it now. Also, here is a green toothbrush tied in a ribbon. It expresses my feelings inadequately. This has been hovering on my wish list for an age – love the teaser! It’s one I had lurking for ages too. Would definitely recommend. It’s been on my TBR forever! I was the same. I’m going to see the author tomorrow night though so that gave me the push to finally read it. I may well be the sort of reader who would LOVE it:). I loved that quote when I read this book. I posted it to Twitter because it was so blissfully random. We Were Liars has been on my TBR for a while!